Thanks for taking the time to read our article on what we believe to be the best garden fork for an allotment. As you will know, all types of garden forks are very useful garden tool, for breaking up the earth, or for doing a good weeding session. Forks are extremely good for breaking up compacted compost. Most gardeners will own one or two types of garden fork, and those are usually a digging fork and a small hand fork which they will use for weeding borders and beds. So, do you really need anything different for an allotment? That is the question that we hope to answer in this article. I have owned an allotment for many years and that of course means a lot of digging. The garden fork is a great way of doing that. Personally I believe that a normal digging fork is the best option for working on any allotment, and on medium to larger gardens. 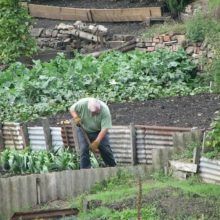 So in this article though, we are going to focus on the best garden fork for an allotment, and which types of garden forks are the best to use, and which not to use. 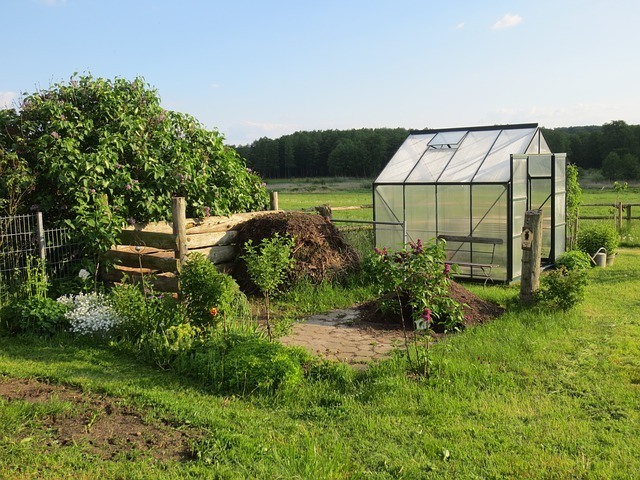 As I have worked on a small allotment for many years, I have gained a lot of experience. More importantly though, you can gain experience from other more experienced gardeners, who can help point in you in the right direction. What Garden Forks Do You Need On an Allotment? I like to keep this as simple as possible, and the best advice I can offer is to own two garden forks. You will want a small hand garden fork for weeding and a larger normal sized digging fork for breaking up and turning over the earth. You may also find a compost or mulch fork useful if you plan on having a compost heap. Other than that a couple of forks will do the job. It needs to last as you don't want to be constantly having to buy tools all of the time. There are plenty of choices when it comes to buying a fork. 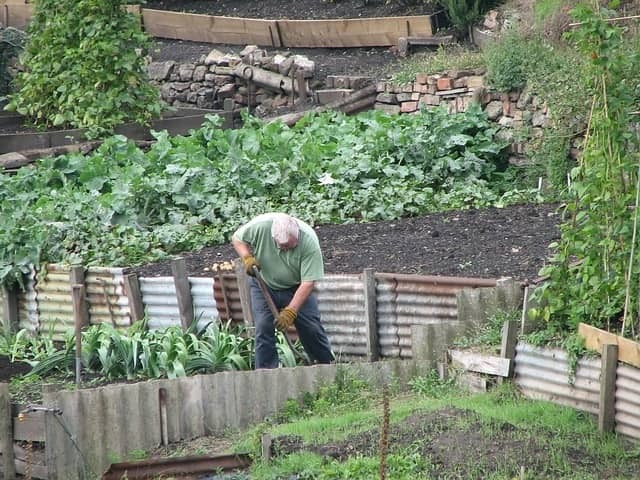 When working on an allotment my advice is to spend a few extra pounds and buy one that will last. It will no doubt get plenty of work out of it over the years. Border forks are always an option, but we believe that they are useful for smaller spaces, We have however found that there is really not much need for one of those at an allotment. Now some ladies and older gardeners still prefer to use a border fork as they are lighter and smaller. That of course makes sense and the choice of fork also has to match your own strength, and any ailments or injuries that you may have. It will always come down to personal choice and we prefer the digging fork as it gets bigger spaces dug up in a shorter amount of time. As long as you are fit and healthy, then a standard digging fork is the best choice. Luckily I have a good shed that is secure so I can store my gardening hand tools there. That's why I don't mind spending a little extra to own a good quality digging fork. Many other allotment owners don't have that luxury, and they will just go for a good enough quality, but inexpensive fork. If the allotment has some type of security and a place to lock up tools, then get as good a one as you can afford. Likewise if you bring your tools from home to the allotment, then also spend a few extra pounds and buy the best quality you can afford at that time. Hand forks are handy for any gardener. On my own allotment shed I probably have at least half a dozen of these laying around. Now of course those have been built up over time, and many given to me as gifts. It is always a good idea to have a couple of these at your allotment, or to take with you to the allotment. I like a normal sized one and I also like a long handled one. They are great for weeding and I also use them for planting. They are just handy to have around, along with a small digging spade or trowel. These are often bought as a set. Like the main digging fork, buy good quality tools and they will last you for many years. Now I mentioned earlier that if you plan on having a compost heap down at your allotment, then you might want to consider a fork that has been designed to work with compost and/or mulch. You can do this with an ordinary garden fork, but the compost fork has been specifically designed to make this task a great deal easier. They are not that expensive to buy, and it is always nice to own a tool that makes a particular task easier. It isn't a necessity to own one of these, but if you can afford it, and you want to have a compost heap, then why not use the right type of fork. These are also good for working with manure and also very good for mulching. The most common compost forks will have four tines with very fine points that allow it to get through the fibres of rotting compost. These tines are usually widely spaced and also curved.